Source: WNYC Public Radio, cropped and edited by Daniel Case. Today I have completed and published part’s one and two of a book-sized essay on the subject of two possible types of suicides facing human beings: individual and collective global suicide. It is also a celebration and investigation into the life of Anthony Bourdain and why he chose to destroy himself rather than let his identities and miseries destroy themselves. This is my personal observation from someone who faced the usual, mundane act of suicide, committed it, yet here I am alive to tell the tale. GET FULL ACCESS to complete Part’s One and Two right now! If you’ve been a bi-monthly hogueprophecy article donor since July or a monthly automatic donor, you will have already received complete access. If you are not a member of either, I can send you a PDF file of the complete and fully-illustrated essay for a donation of $10.00 or a little more. Put ALL in the PayPal Memo Line. I will send a PDF attachment attached to the email address you used at PayPal. 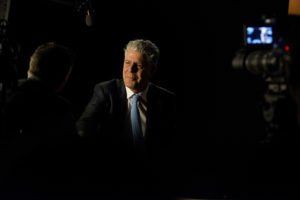 Anthony Bourdain during the 2014 Peabody interview for “Parts Unknown.” Photo from the 73rd Annual Peabody Awards, by permission: Creative Commons. Your own consciousness is innocent and utterly blissful. You might think this isn’t the subject for a current-event/prophecy-trending website, but suicide is distinctly a root-prophetic theme, whether it is personal or global. The near future of humanity is fundamentally about choosing the higher instead of the lower form of suicide. That’s why this essay about Anthony Bourdain, a world-renowned and much-beloved human being, taking his own life creates for all of us who cared for him and learned from him exactly the right moment to face the choice of suicide in a new and revolutionary light. His death shook the world to attention. I know the will to commit suicide first hand. I fully opened myself to ending my own life. The outcome was unexpected, magical and positively transformative. What illuminated me the moment Death had approached was something beyond society’s platitudes and taboos. I discovered how sacred an act of suicide can potentially be, if you bear full witness to what you are about to do. Perhaps in the following essay you may read me talk about suicide in ways you’ve never heard before. We have entered times poised to witness humanity heading for a jump over the edge. The danger of thermonuclear war is closer than ever before, just as the denial it is near and the irrational and factless-based hysteria about Russia in the US has never been stronger. The nations of the world respond to the challenge of planetary climate change with a Paris Climate Accord that has no legal teeth of consequence, while the fossil fuels that create a rising global fever in the atmosphere enjoy a record-breaking expansion of production and use. Waiting in the wings is perhaps the ultimate challenge, the so-called oxymoronic advent of “Artificial Intelligence”—artificial as in fake intelligence—that we would amplify inside our machines based on a potentially humanity-ending false assumption that mere mental intellect is synonymous with ethical, critical and conscious wisdom. Faced with these three challenges, none of our mores and teachings of the past can help us respond successfully. The past can’t sort out the challenges of the future. Thus mass suicidal events await because the past itself and its robotic traditions have led us to this brink. Blind adherence to nationalism, habitual short-term planning and ultimately taking what is robotic and mediocre in the human psyche to new and artificially enhanced heights will all lead to humanity’s destruction. To hold onto what we know at all costs could destroy our ability to take a different jump—not off a cliff but towards a new insight into how we survive ourselves. Osho, the late twentieth-century’s greatest mystic and prophet for a new humanity said the following. I heard it first-hand while sitting at his feet among several thousand silent, fellow inward meditation-seeking travelers in April 1989. Osho delivered this radically new understanding of what exactly binds us habitually to our past. He contends that we have lived many times before and reincarnated repeatedly into the eternity of this present moment, following a programmed habit strengthened life after life, to see and project lives that look outside and away from this present-eternal and blissful reality. His following observations were a full stop for me. My journey out of the “you only live once” Judeo-Christian conditioning of my birth sincerely began with a study of reincarnation and all the thousands of existing reports in the West and especially in the East that document and corroborate memories of lives lived before. These past lives are not imagined. They are provable. I even managed to test memories and prove a few of my own had happened. Yet still there were gaps in my understanding. The fundamental one being this: what exactly reincarnates? Is it our minds, our soul? And where do all these incarnations eventually lead to? Osho then dropped his bombshell insight triggering a silent explosion of understanding in my heart that ended 10 years of seeking clarity about reincarnation’s mysteries. 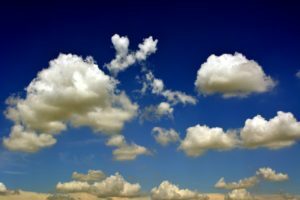 After his discourse and ever since, I continue settling into a newer and newer, enfolding understanding that truly grasping what past lives essentially are could break the habit of repeating the tragic past as a tragic future and bring humanity into an entirely new and luminous state of individual and collective being. “There is no incarnation, but misery incarnates,” said Osho. “Wounds of millions of people are moving around you, just in search of somebody who is willing to be miserable. Of course, the blissful does not leave any trace. The man of awakening dies the way a bird moves into the sky, without making a track or a path. The sky remains empty. Blissfulness moves without making any trace. That’s why you don’t get any inheritance from the buddhas [the awakened, enlightened ones]; they simply disappear. And all kinds of idiots and retarded people go on reincarnating in their memories and it becomes every day thicker and thicker. “Today, perhaps, it has come to the point to be understood and to be dissolved; otherwise it is too thick to allow you to live, to allow you to laugh. “Your own consciousness has no wounds. “Your own consciousness knows nothing of misery. “Your own consciousness is innocent, utterly blissful. In short, what I understand him saying is this: bliss is our ultimate, eternal nature and it never has incarnated. It never lives in time or mind. Only the mind’s memory of identity and ego bundles its miseries together at death, sometimes the whole bag of sorrows finds a new womb, or it is scattered in many wombs. In either case these identification-miseries become a new projection of personality-suffering and past-habit repetition in a new life. The more lives it lives the more it collects misery-memories of being that strengthens the idea of separation from the cosmic whole. On a mass-human level, this buildup of suffering could lead to a psychic breakdown of the human race unless a deeper understanding drops the bundles like an awakening light dispels shadows. This could create a new humanity where the manifestation of identity is not a misery-making prison but an expression of blissfulness in the apparent world that’s never born and never dies. We, a mystery expressing itself temporarily contained in an appearance of identity, is just visiting the universe of phenomenal life yet filling it with enlightenment and joy. I’ve seen the possibility of this face to face. Osho was a human being like that. He visited this world and left it more luminous, innocently intelligent and more loving than he found it, before he dissolved into the Whole, the All-ness, never to form-fully return. His antidote for Suiciety is meditation—a journey of misery self-observation that relaxes one deeply all the way to no-self liberation. It must and it can catch hold across the world and bring enough of us into awareness of a consciousness with no wounds, no misery, utterly innocent and blissful. This current, global society IS taking the human race into a collective confrontation with mass “Suiciety” that would have us blindly go on living in egoism and delusional separatism from the ever-present, divinely blissful eternity unless we rediscover our eternal source rather than identify with our ever-reincarnating, peripheral personality and its miseries unto personal and mass suicide. I recall Osho often and lovingly encouraging us to face our fears, our angers and all the societal—suicide-et-al—taboos with inner-eye wide open. A world-famously loved man like Anthony Bourdain, so vibrant, so alive took his life on 8 June 2018. How was that possible? Bourdain was a living Zorba the Greek as if he had walked out of Kazantzakis’ classic novel by the same name, a fictional character made flesh and loving it, drinking and eating life with complete lust and joy in food, in others. What could make Bourdain commit something Zorba the Greek could never dream doing? Zorba used to say that if God gave us hands than “grab” life. Bourdain grabbed and suddenly let it all go. Shock is good. Shock is a great opportunity. It makes a void we can fill with new insight. The shock of Bourdain’s suicide has a hidden blessing in it for millions of us who loved him. It has left us emotionally open and vulnerable. Death has come into the void that shock made for a visit. Sometimes when you face Death fully, as if this is your last moment, that’s when Life becomes deeply understood as being incomplete without Death taking one’s hand for a dance. This is one essay about Anthony Bourdain’s suicide that will definitely NOT end with some phone number of a suicide hotline. Comforting is not what we need. 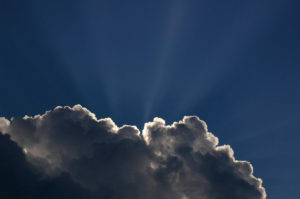 We need awakening to that which has no wounds; to that eternal innocent light knowing no misery. Catch it this moment that shock has given before it is forgotten again. Drop the mind’s ancient habit passed down a million, million lifetimes endarkening the moment’s ever-present enlightenment with an ego’s spider web of fear, anguish and false identities where our nature as blissfulness incarnate is forgotten. In this essay I will take you face to face with—and beyond—societal taboos against suicide. We will encounter it fresh with the open, non-judging eyes of an innocent intelligence renewed. He—hung with a bathrobe belt by the neck. Me—on a walk heading inexorably over a cliff. We both crossed a decisive moment when committing a suicidal act was next and Death happened to both of us. Bourdain’s death was the all-too familiar kind, found hanging and discovered by loved ones. It was “another kind” of Suicide. The kind one unexpectedly lives to tell about. This following essay on the lower and higher potentials of Suicide is, in my experience, as prophetically personal to each and everyone’s heart as a website about prophecy can publish. 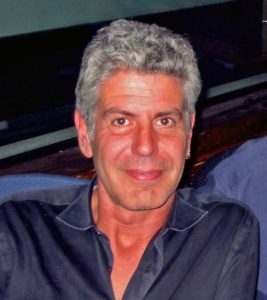 It can be our teaching moment starting with Anthony Bourdain’s suicide that can end in a resurrection of a whole new illumination about life, death, and our individual-to-common future. I content that unique challenges of human survival beyond the oncoming and potentially suicidal decade of the 2020s will require unique and refreshed human intelligence. You are already “IT.” Your blissfulness radiant, your new humanity assured. Gain FULL ACCESS to Anthony Bourdain-PART ONE with a donation of only $5.00, or a little more. Put Part One in the PayPal memo line. I will send a PDF attachment attached to the email address you used at PayPal. That’s where I was, back in the late spring or early summer of 1981. On my path over the lonely golf course in San Pedro, California, adjacent to the trailer park where I was living, physically recovering from my first trip to India. A bout of pneumonia nearly killed the body on the one hand. On the other, Osho’s ashram with its incredibly radical, stark-naked encounter groups pruned down many of the leaves of ego and misery games I had learned in the world to help me better face the root of misery. Afterward Osho and the people there wrapped my soul in blanket of love and acceptance, sending me on my way back West with a recognition of a rising light and freedom of soul I had secretly hoped was real while dragging myself through many lives to find it at last: a potential that was up to me to let flower, moment-to-moment. I was walking down the golf course path feeling like my hardened seed of personality I’d carried through so many lives had been at last penetrated by the nourishment of real love and sunlight from an enlightened human being and his fellow travelers. The tender green of my potential was emerging, yet now, I was back in the world that enforces misery, ego competition, separation. I was back in the arena where love is sold, not freely supported or shared but made a commodity to possess and control. I had left a living light and was back in the land defined by dead religions and heartless economic systems that supported the survival of the spiritually unfittest. I was in a tender, fragile state. I was lonely, vulnerable, not yet flowered fully in a silent, luminous aloneness, able to stand in a Truth that a whole human world’s lies and illusions couldn’t sway. There passed a fledgling bird of an awakening consciousness fallen out of his nest, heading towards cliffs. Could he ever, really, fly free, into the endless, burning blue, leaving no pathways as he disappeared into eternity without any limits? Was he falling now back to earth, back to habit’s dearth of ugly mind of Man? At every turn, in every mood, entrapped was I returned to the world in a desert of mind wanting to kill the green and tender awareness growing, deny it water or suckling soils so that it would never long survive and grow into its full potential. My friends, my master, were on the other side of the planet. I was back West, a newly ordained Swami, in my orange clothes and mala-bead necklace of a Neo-sannyasin, trying to find a way to live in a society fearful and sometimes openly hostile against what I had become, a spiritual rebel—an outcast. I can’t recall the exact thing that triggered my decision to keep walking until I ran out of golf course and cliff. A summer day, so outwardly beautiful with a comfortably warming off-shore breeze pushing me, a bundle of miseries, down the path to a dazzling horizon of Pacific Ocean, with scintillating white caps, under an azure blue sky. The master had opened the wounds to the air for a healing. It felt like a root canal cavity in my heart, full of agonizing pain. I was so lonely, unsupported, I was so unsure. If this exposed root of my misery had reached the point where it couldn’t recover its conditioned dominion over my mind and heart, then it would kill them. Do you see the subtlety of it? Do you see how the mind expected the world outside should “love me,” just like the “I”-oriented “I need you to love me” songs “I” grew up listening to? Love ME or I’ll leave ME! At some moment, facing the root of my misery this fresh-minted, 25-year-old devotee of Osho opened himself to a reckoning, a choice for freedom from the pain and in it there was something that wasn’t arising from the pain-making mind but a presence beyond it. It was deeper than the root-canal hole in my soul. As it expanded inside of me, an acceptance arose. I had the freedom to leave the world if I freely chose to do so. There was no scolding inner voice. No judgement for or against. It was beyond right or wrong, beyond good or evil. I felt Death coming, a Death I would allow. I was freely walking to it. I was ready to make it so. The cliff was approaching, and in my freedom, I was now “response” able to step over the cliff. After understanding this response “ability,” everything started to merge inside my being. The terror of life met the terror of death and their coitus had a quality of brightness, of gaping-in-my-gut paradox, as if a whole other reality was yawning open inside and out. It was so completely free of the suffering that was already and actively burying me before the choice of suicide was embraced. If I were to let go embracing my choice to end my life this glimpse of an unknowable intimacy would have disappeared with it. Remember the moment in the movie The Dead Poet’s Society when the young man has prepared his suicide in his bedroom? He is about to hang himself and he is suddenly feeling a freedom, an aliveness that the movie metaphorically frames in all the sounds of night in the forest outside his large bedroom window. He’s poised to hang himself and the forest murmurs start welling up, buzzing with life in a kind of invisible brilliance. The young man smiles, acutely aware of life all around. He’s ready to go now. Death came calling to embrace my Life for one last time. And because I had the freedom to let Death take it, Life unexpectedly became incredibly luminous with its existence vibrating, pulsing, singing. And you want to plunge into that Mystery. Your will to suicide has shown you “it” unguarded—unexpected—before the hanging rope tightens or the body falls to the ocean-swept rocks below. At the moment I had felt this certitude of killing myself bring up a Reality so unknowable but intimate, I was only a few hundred feet from the cliff, pausing on my way next to a young eucalyptus tree—a willowlike thing, tender and vulnerable, like me, with silver, grey-green leaves shivering in the warm breeze. I felt I owed this growing, immanent Presence a pause to savor it before I threw my body over the cliff. I sat at the foot of the young eucalyptus tree, closed my eyes and let myself sink into this Mystery. It got very quiet inside. Suddenly I felt a lightning bolt rising up through the earth and the tree roots, right up into my spine coruscating inwardly, at the speed of light, from the tip of my tailbone all the way into the crown of my head. It threw me forward a few feet, face down, spread-eagle, into the grass. All the misery fell out of my soul like it was a bloody full moon floating in the reflection of a wooden bucket full to the brim with life’s tears that has suddenly fallen apart leaving the witness empty handed. The young tree was calling me with its whispering leaves. I stirred from face-in-the-crab-grass crying, rolled over and looked over at it. The warm Santa Ana winds blew strong and the tree was waving its disc-like silvery leaves bowing in the wind, shaking them like reedy laughter and joy at the mere existence of me and itself with no reason, no-knowing. The azure sky did nothing but yawn deeper and the earth’s hug became aware of its pressing hold of us. The Whole Existence was loving the two of us. The Whole Infinite Mystery ever now loves us. The suicide “attempt” was successful. Gain FULL ACCESS to Anthony Bourdain-PART TWO with a donation of only $5.00, or a little more. Put Part Two in the PayPal memo line. I will send a PDF attachment attached to the email address you used at PayPal. This entry was posted in Anthony Bourdain and tagged aloneness, Anthony Bourdain, Anthony Bourdain Suicide, Asia Argento, Bourdain Suicide, Meditation, mundane suicice, No Reservations, Osho, Spiritual suicide, suicide. Bookmark the permalink. Post a comment or leave a trackback: Trackback URL.